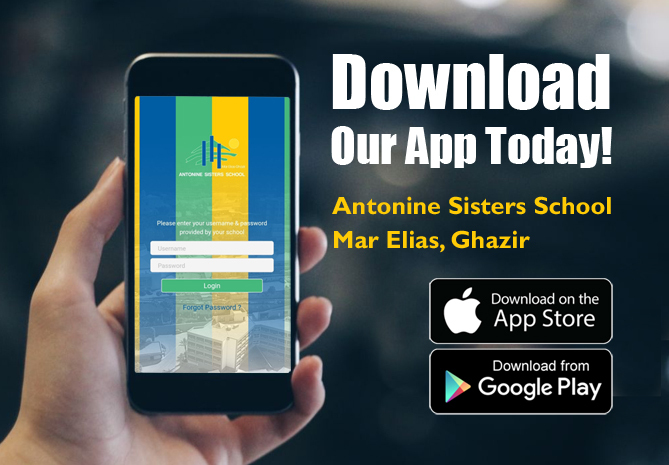 Welcome to the website of Antonine Sisters School (ASG) - Mar Elias, Ghazir! An extraordinary pledge is the calling of education that we deem no effort to honor and fulfill! 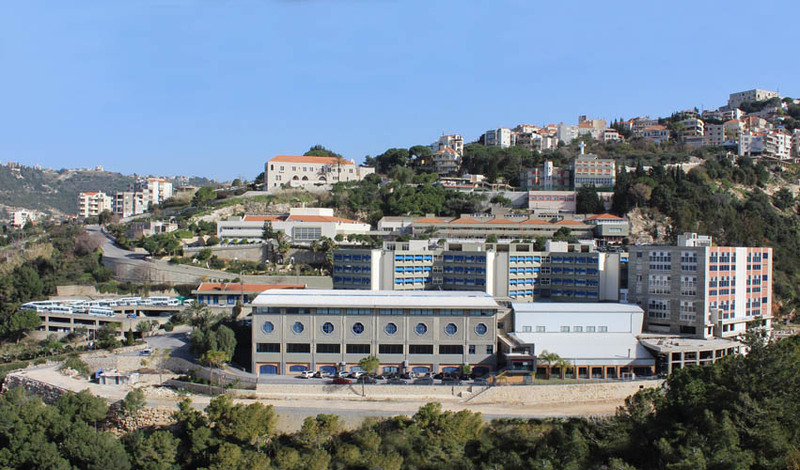 Conceiving the student as a holistic sacred entity, the school is permanently striving to consider all human dimensions – spiritual, intellectual, emotional, cultural, social, and physical. With highly qualified and dedicated teachers, ASG endeavors to help its students not only to acquire vast cultural awareness and large education, but also to be able to delve into the depth of analytical knowledge armed with a keen sense of discernment, and a sharp critical mind. Our various clubs of art, ecology, sciences, sports … have the objective of maintaining moral and physical health, cultivating talents, and raising awareness concerning national and international current issues. For these purposes, our educational program involves students in a diversity of projects and academic research so as they clearly envisage their future and the future of the world. We are proud of having eloquent speech makers, acute debaters, thinkers, writers, artists, young inventors, problem solvers, athletes, promising future scientists and technologists, endowed with creative mind, determination, and willingness to excel. ASG has also taken up the challenge of graduating fluent, trilingual students. It has succeeded! We are proud of our alumni who exceeded our level of expectation by cultivating the passion to learn and by being active and lifelong learners developing a greater appreciation for the world around them and possessing the power to make a difference. We urge our students to think big, dream high, and work hard to turn their dreams into reality!